"Fill your paper with the breathings of your heart…." All you writing enthusiasts, IWA invites you to the Writing Enthusiasts’ Club….a place where your imagination can find new expression! To explore various genres of writing; experiment with different themes/topics/styles…memoirs, story, poetry, travel, drama, journalistic writing; write your own pieces & share tips on editing your work or learn the ropes from established authors. The Writing enthusiasts’ Club had a great kick-off meeting on June 4th, with a turnout of more than 10 people. We had a wonderful & interactive session, which helped everyone connect & identify the needs & expectations of each one in the group. We mapped out a plan for the future direction of the club. Most expressed a strong interest in actual writing sessions, along with creating an online platform for sharing writing, critiques, thoughts, ideas etc. While some in the group had experimented with specific type of writing, eg. 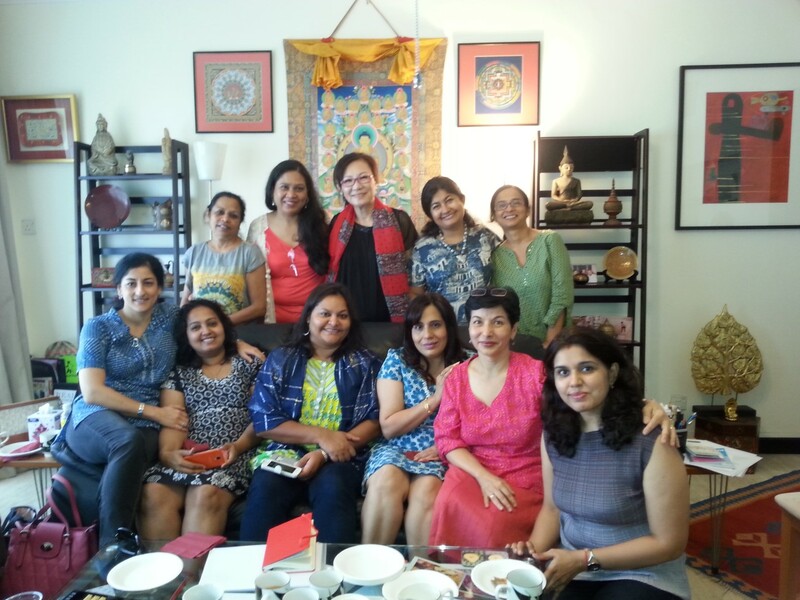 short stories, journals, poems, business writing or travelogues, everyone was excited about trying different genres & stepping out of their comfort zone. It was also decided that from time to time interactive sessions with established writers from different genres would be organized, to facilitate more learning, plus that members themselves would take the lead to organize some sessions, especially in their area of interest/expertise, for example, play writing. We will meet once every two months, while regular and continuing interactions can take place on the online platform, for which a Google group is being set up, to share work, ideas, thoughts- the works! We look forward to a great time in the coming months writing, sharing, learning from each other & the experts, and unlocking hidden potential!